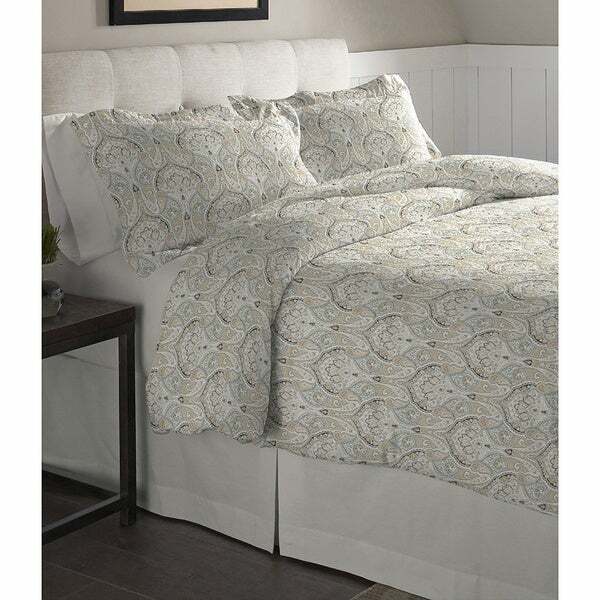 Rest well in cozy flannel comfort with this super soft cotton duvet set. These duvets come in your choice of solid colors or prints to add the perfect accent to any bedroom decor. Machine washable for easy care, this set is perfect for every day use. Twin duvet set includes: 1 duvet cover: 88 inches width x 68 inches length and 1 standard sham: 26 inches width x 20 inches length, Full / Queen duvet set includes: 1 duvet cover: 96 inches width x 92 inches length and 2 standard shams: 26 inches width x 20 inches length, King duvet set includes: 1 duvet cover: 96 inches width x 110 inches length and 2 king shams: 36 inches width x 20 inches length.